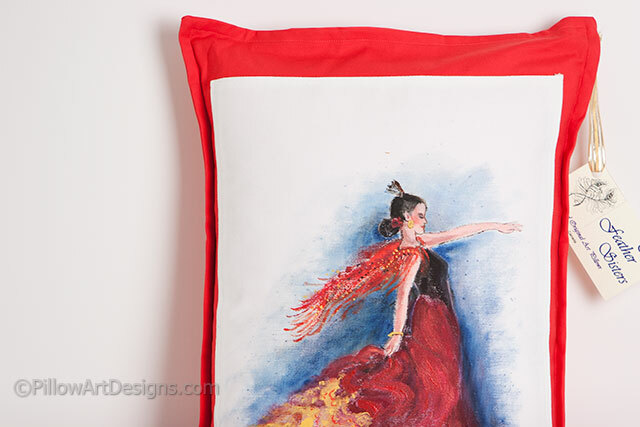 Our beautiful flamenco dancer graces the front of this bright fiery orange and white decorative accent pillow. Her dress is painted in dramatic reds, yellows, purples and black. The shadowy background adds more drama in prussian blue against the chalk white of the pillow's front panel. 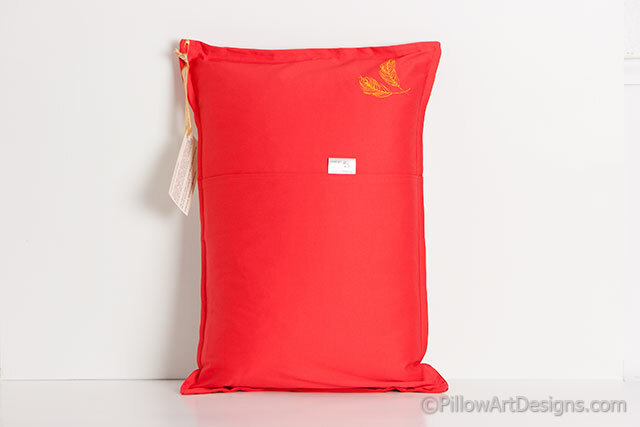 The deep orange fabric ties the front image together and completes the dramatic look for this decorative pillow. All Feather Sisters original artwork is painted and signed by Canadian artist Carol Henderson-Pew. 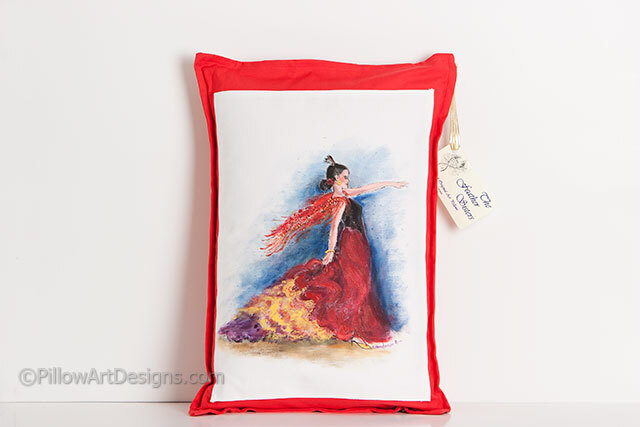 Carol also hand paints our Feather Sisters logo on the back bottom corner of each of our pillows.